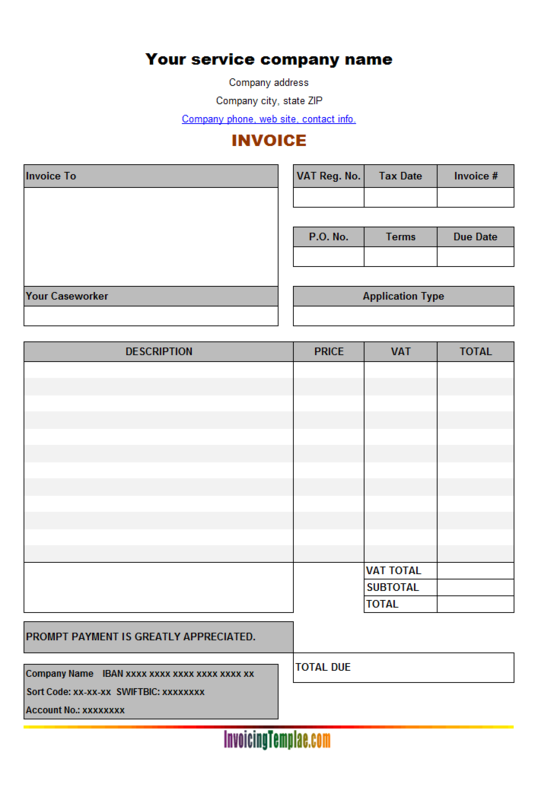 Sample Service Invoice Template: Fixed Items is a variant of Sample Sales Invoice Template: Fixed Items. 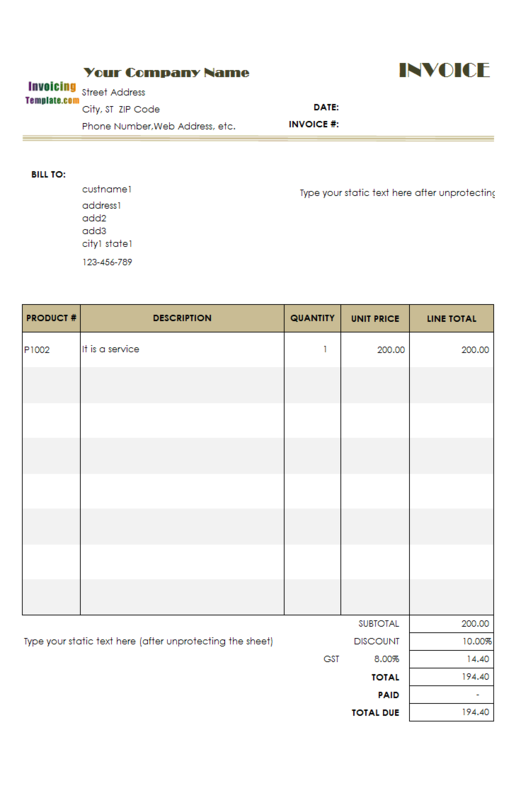 It is the service edition of the original one. 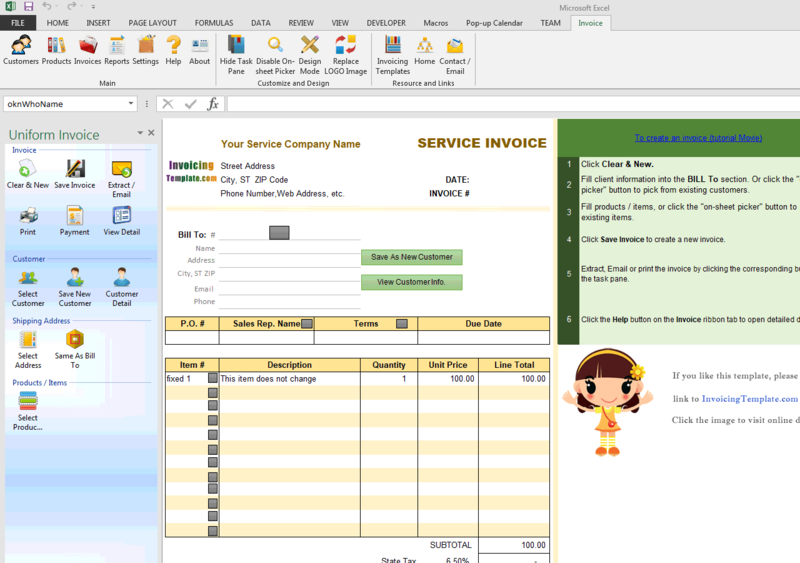 c5041 now includes the customized invoice template for the latest version of Invoice Manager for Excel. 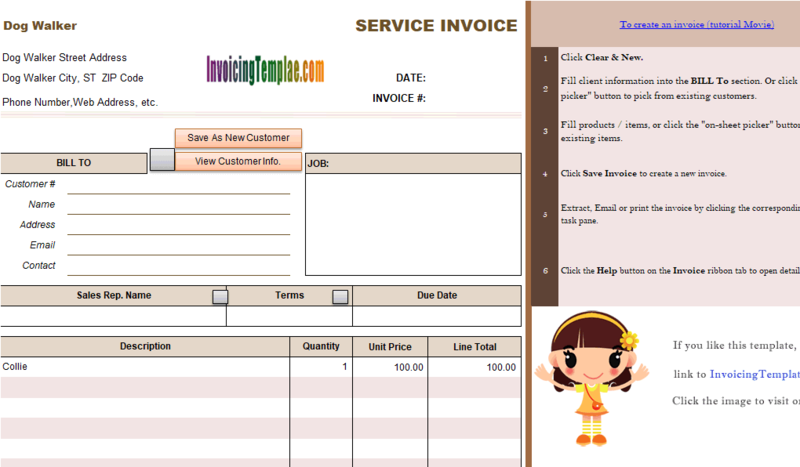 This is what you will see when you open sample-service-template-fixed-items.xlsx. 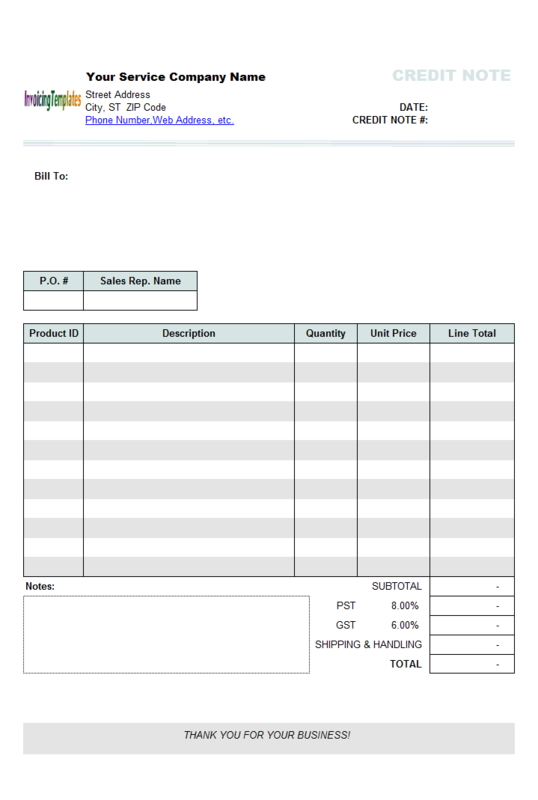 The only difference between this customized template and the original invoice template is that there are no shipping fields in the service invoice template, whereas the sales invoice template has shipping fields defined near the "Bill To" section. 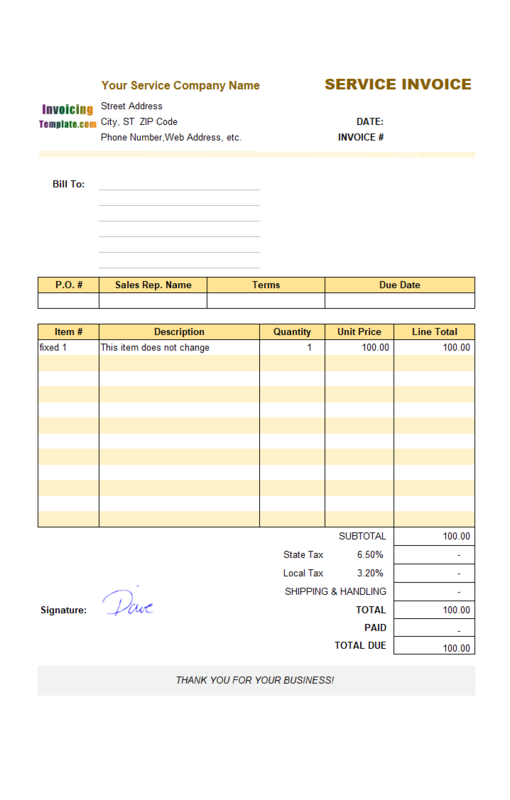 This service edition is created by moving all the shipping fields out of the printable form. 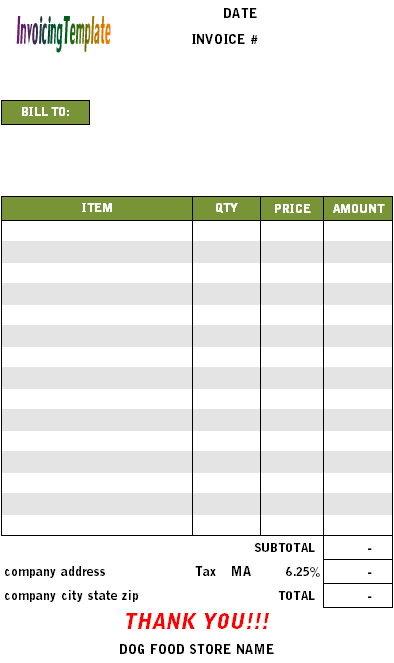 How do I move a cell or control / object? 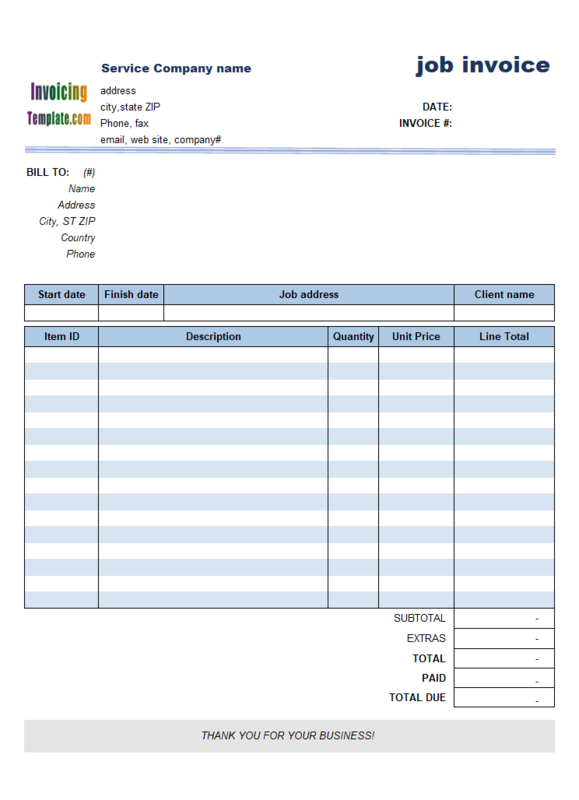 The two standalone fields, "Ship Date" and "Ship Via", are also moved out of the printable invoice form (Although "Shipping Cost" is left on the bottom of the form). 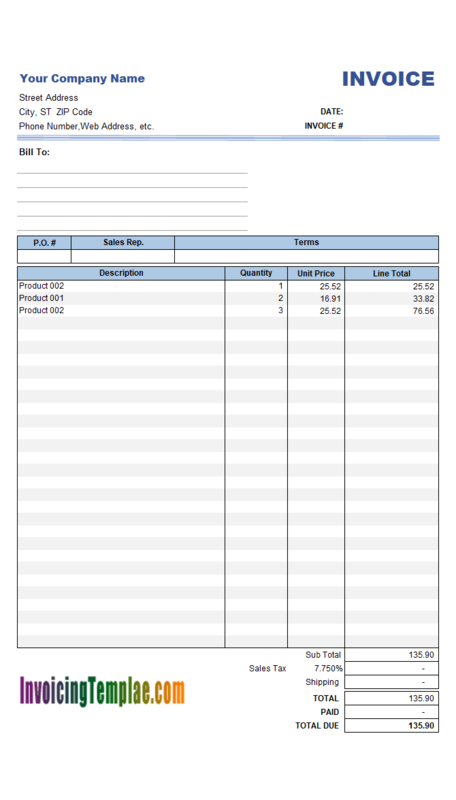 The two adjacent fields, "Terms" and "Due Date", are expanded to fill in the space left by moving out the shipping fields. 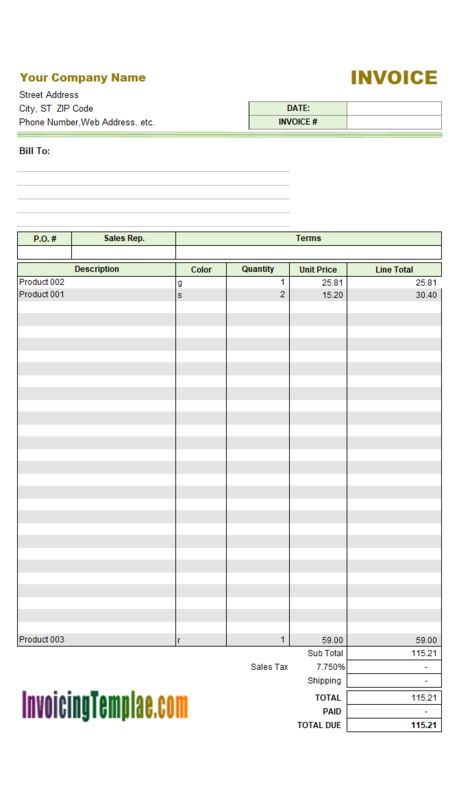 To do this, we first move "Terms" (both the label and field cell) two columns left, and move "Due Date" one column left, and then select the "Terms" label and its subsequent empty cell, and then click "Merge and Center" command on Excel ribbon. 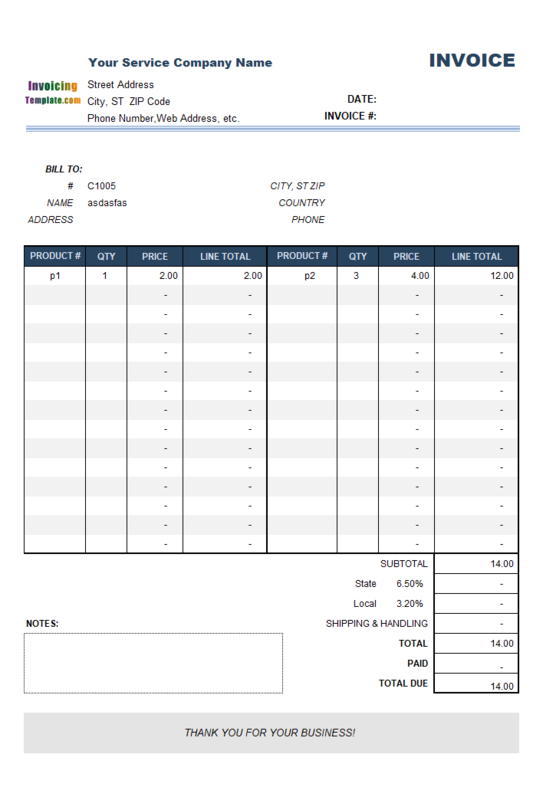 So with several easy steps we have the Sample Service Invoice Template: Fixed Items. 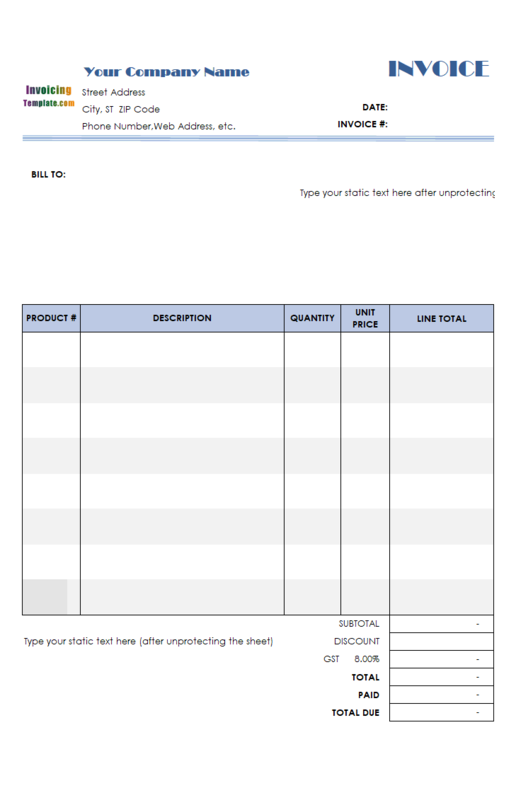 As detailed at the sales edition Sample Sales Invoice Template: Fixed Items, fixed items could be very helpful for some businesses. 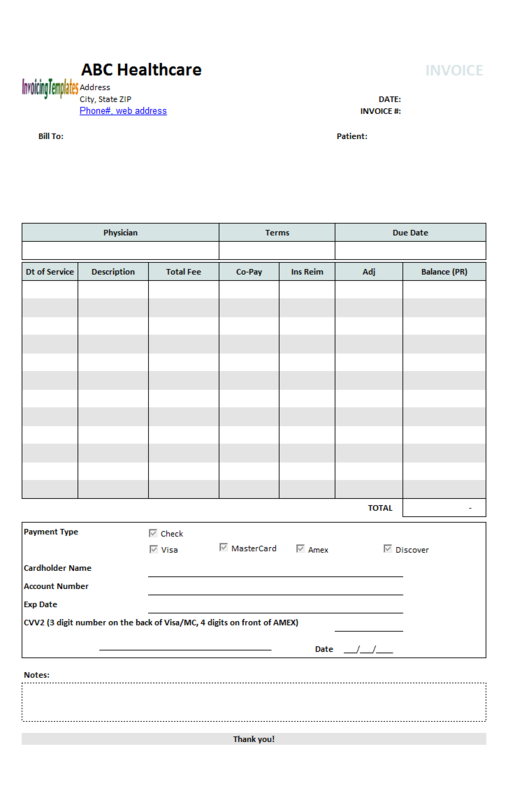 Like other form designs here on InvoicingTemplate.com, Service Template with Fixed Items is free (offered to you at a price of 0.00USD). It works on Windows XP and all newer versions of Windows, and Excel 2007, 2010, 2013 or 2016. Deleted the "oknWhoCountry" cell name, replaced it with "oknWhoEmail". 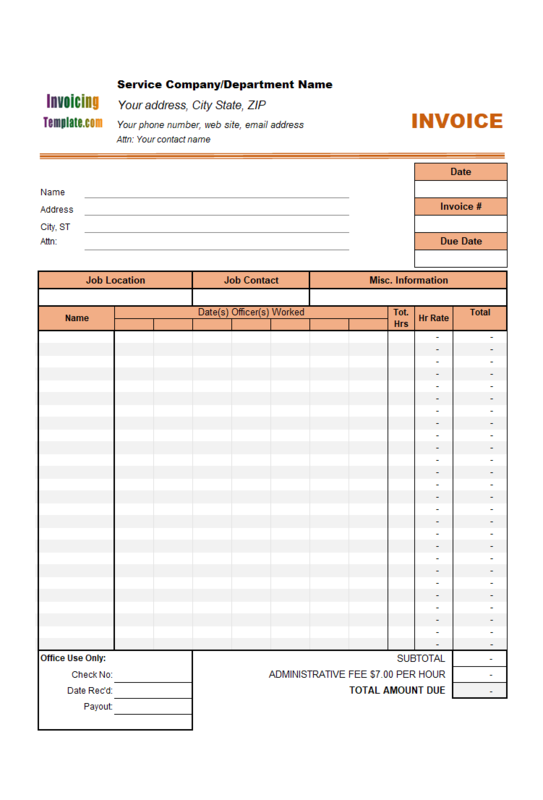 Set the page layout option so that it prints on center of a page, on both vertically and horizontally. 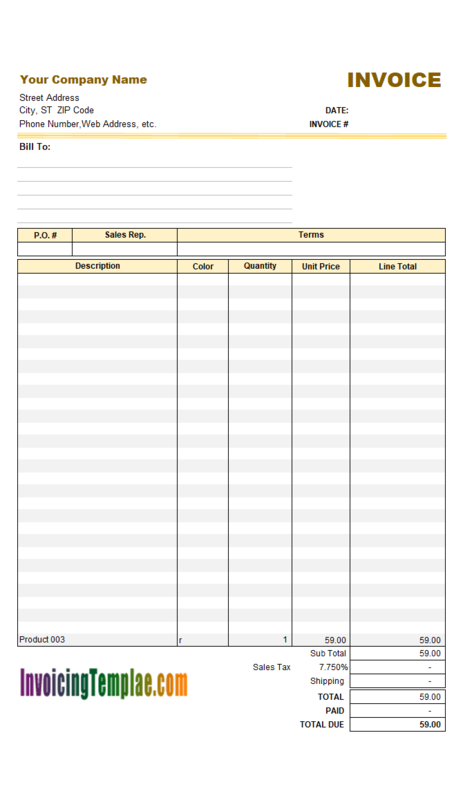 Applied "yellow" color theme to this template.